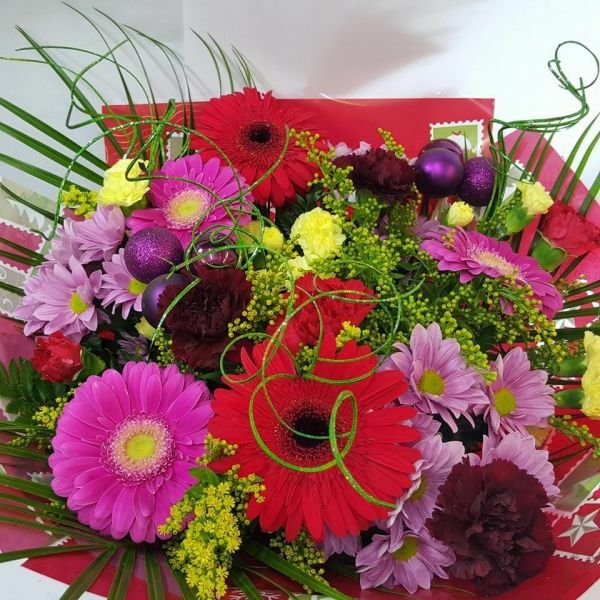 Our colourful take on a Christmas & New Year Bouquet - a bestseller! Including shades of yellows, cerise, purples and reds offering a little vibrancy to this festive season. Our florists will choose a selection of seasonal favourites, which are sure to include gerbera, dianthus and chrysanthemums. Finished with a selection of beautiful foliage and giftwrapped in an aqua packed gift box, making the perfectly presented gift this Christmas.